People often ask if we do engagement photography and our answer is always, YES!!! Not only do we do engagement photography, we go over the top. We are also now offering couples cruises on our charter boat and we capture amazing art along with helping create an amazing experience. Sure popping the question on the beach is cool, but isn't popping the question on a remote beach that is only accessible by boat even cooler? Avoiding the crowds is our specialty and we know just the right spot for your perfect occasion. We sure thing so and so do all our clients that have had the opportunity to experience this unique excursion. So please give us a call today and let us help you plan the perfect proposal! We promise to help you go over the top and make this special occasion one that will stick in your memory forever. 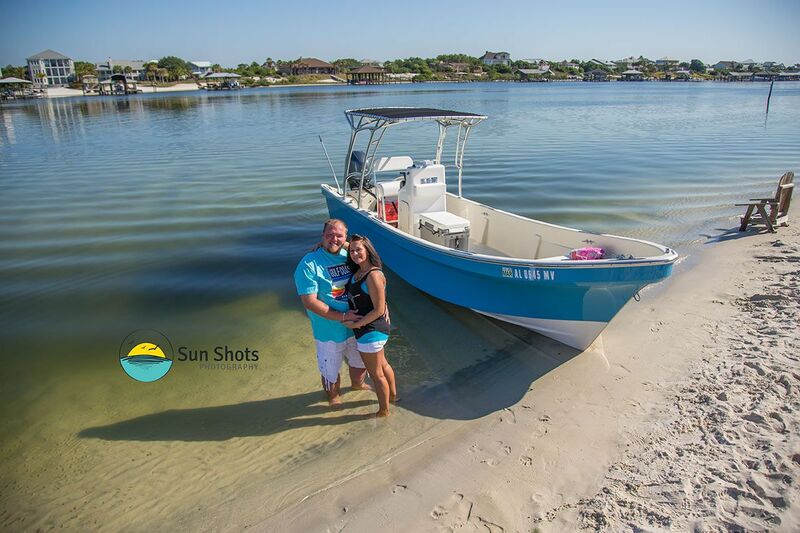 Check out the link below for more information on our private boat charters in Orange Beach, Alabama. Call us today and let us help plan a proposal that will make all your friends jealous!